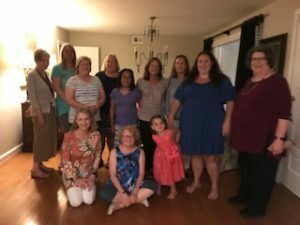 What a delightful evening at the home of Ansley Wells, who hosted the West Meade Book Club ladies. 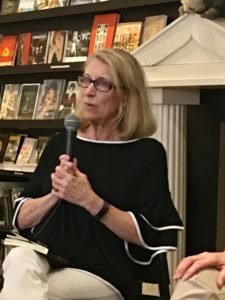 My former student, Flora Murray, asked me to meet with them to discuss Pursuit in Provence, and I happened to mention the other two books in the series, as well. 🙂 These ladies are serious readers! I loved the questions, comments, and enthusiasm. And I can’t say enough about the Mediterranean dinner that got us started thinking about Provence! What a gracious group. Thank you! What a warm welcome I received from the Centennial Club on Friday. 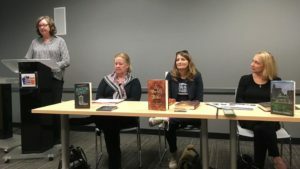 Thanks to all who made the event happen, to the women attended, and to those who bought books. I reconnected with many friends! 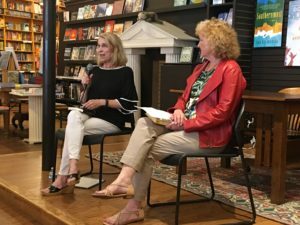 Photos from Parnassus – What a great time Alana and I had! Thanks to all who came to support us. I hope you had as much fun as we did. Just received the bookmarks that my talented son-in-law, Jorge Arrieta, designed. 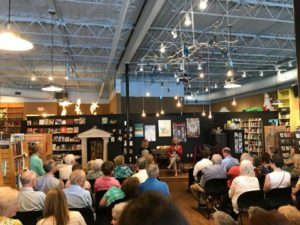 I’ll have plenty on hand Sunday, June 3, 2:00, at Parnassus for “An Afternoon in Florence” – and Italian refreshments, and a book giveaway. 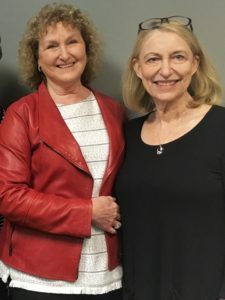 Hope to see you as Alana White and I talk about setting our books in the amazing Renaissance City, Florence. If you haven’t RSVP’d, come anyway! Getting Ready for Parnassus Event! 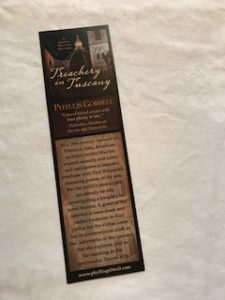 Treachery in Tuscany is now available. 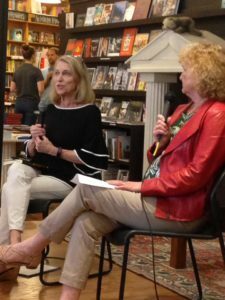 On June 3, at 2:00, Alana White will interview me at Parnassus Bookstore – “An Afternoon in Tuscany.” Please join us! Hoping for a beautiful day like today, when we were working (really, we were working!) at Zoe’s. 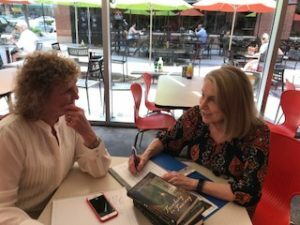 Thanks to Jacqueline Seewald who invited me to be her guest today on Author Expressions. I’m reading the opening scene of Treachery in Tuscany. Please listen and share! To celebrate the launch of Treachery in Tuscany, I’ll be joined at Parnassus by my friend Alana White, author of The Sign of the Weeping Virgin. 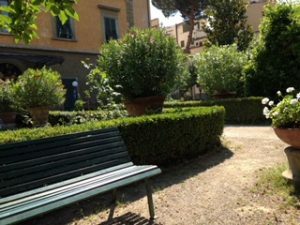 We will do an “Afternoon in Florence,” discussing the amazing Renaissance city and all its pleasures that make it ideal for the setting of both our books. 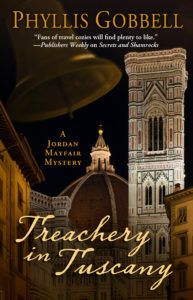 Treachery in Tuscany is a contemporary traditional mystery, third in the Jordan Mayfair Mystery Series. 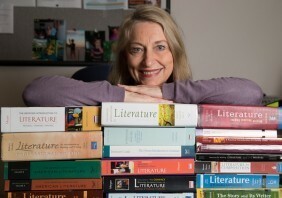 Alana’s Sign of the Weeping Virgin is historical fiction, set in 1480 Italy. We’ll have fun talking about Italy, yesterday and today, and answering your questions! 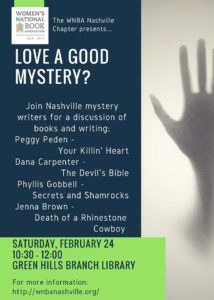 I am delighted to be joining Jenna Brown, Dana Carpenter, and Peggy Peden on a panel that will highlight our mysteries, sponsored by WNBA. 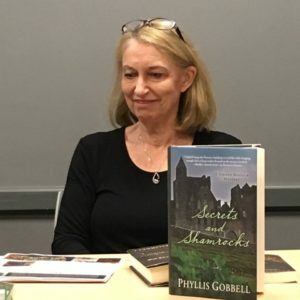 I’ll be talking about Secrets and Shamrocks and I’m sure I’ll put a plug in for Treachery in Tuscany, which will be released May 2.